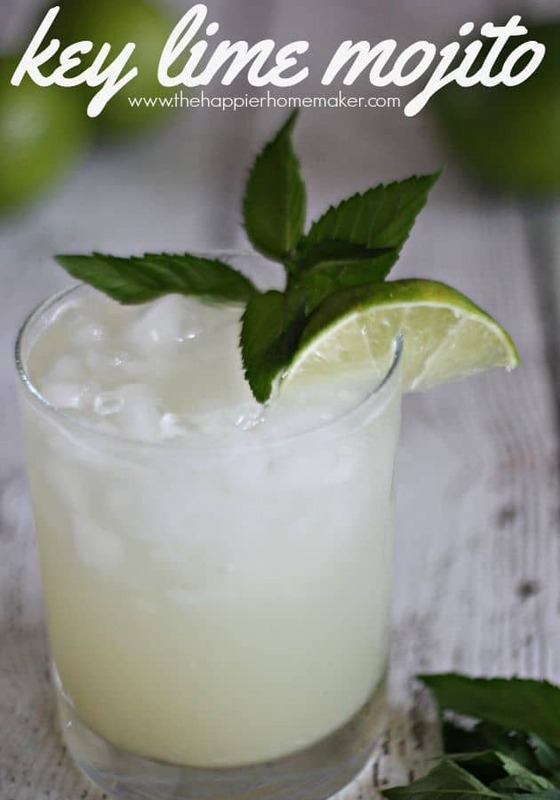 A couple of weeks ago when I was making my grandmother’s old fashioned Key Lim Pie recipe to share with you I was inspired by my leftover key lime juice to whip up a little twist on one of my favorite cocktails-the mojito! 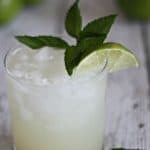 This Key Lime Mojito cocktail takes everything you love about a refreshing minty mojito combined with one of summer’s favorite desserts! Place mint springs in a glass and crush with the back of a spoon to release flavor. Add ice to cup. In a cocktail shaker combine rum, lime juice, and simple syrup and shake to mix. Add seltzer to shaker and pour mixture into prepared glasses. Serve immediately. 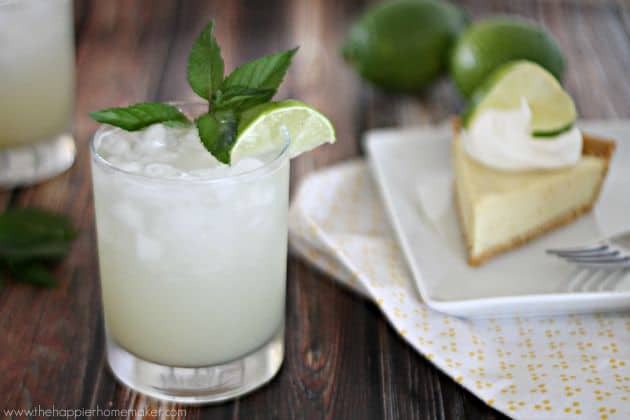 Combine your favorite summer cocktail-the mojito-with your favorite warm weather dessert-classic Key Lime Pie for a fun, unique cocktail to remember! Place mint springs in a glass and crush with the back of a spoon to release flavor. In a cocktail shaker combine rum, lime juice, and simple syrup and shake to mix. Add seltzer to shaker and pour mixture into prepared glasses. What are your favorite summer flavors-are you a fan of key lime pie? What about mojitos?